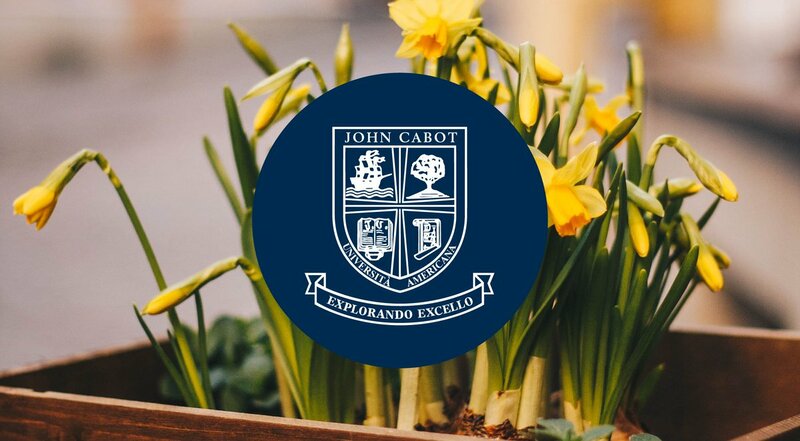 The entire John Cabot University community joins President Pavoncello in thanking Paula Frohring, her family and the Frohring foundation for their latest demonstration of generosity and support. On November 27 and 28, John Cabot University students Giuseppe Spatafora and Elizabeth Truffa took part in the first edition of the International Undergraduate Essay Conference, organized by University College Utrecht, in the Netherlands. The program included visits to all European institutions, the Belgian Parliament, the International Organization for Migration, and a meeting with JCU alumni working in EU institutions. Harris and Prof. Valentina Fiorillo compared Italian and American approaches to constitutional justice, focusing especially on the construction of religious liberty and LGBT equality. JCU Alumna Christine Modafferi shares her internship story in London while studying for a Master’s in Digital Publishing at Oxford Brookes University. In the final round, De Bari was judged by two Queen’s Counsel as well as a law professor from University College London who authored one of the most well-known practice manuals and textbooks on English criminal law. Anastasiya Lugovska from the Ukraine shares her internship story as Marketing Manager at Dishes Only, a startup which sells designer dinnerware. “Inside Out” Event: Will Technology Affect the Jobs of the Future? Using a Ted Talk-like format, the event hosted 14 professionals representing startups, venture capital, heavy-weight innovators, and the media. Congratulations to winners Romeo Sacco, Olivia Gambelin, and Halina Lohvin.